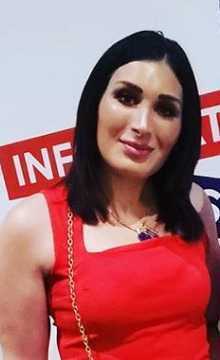 Laura Elizabeth Loomer, popular by the name Laura Loomer is a far-right or alt-right American political activist, conspiracy theorist, and Internet personality. Previously, she worked with James O'Keefe for Project Veritas. She also served as a reporter for The Rebel Media, a Canadian far-right website. She has faced several criticisms for spreading conspiracy theories on social media. She was recently permanently banned by Twitter for spreading hate speeches and comments. Laura Loomer has become an Internet troll celebrity recently. People have reacted to her protest against Twitter ban humorously. Loomer protested against her Twitter-ban in the front door of the Twitter headquarters in New York City. She wore a yellow "Jude" patch during the protest and announced that she was joining a lawsuit that alleged bias by social media against the conservatives. About two hours later, police had to involve themselves to remove her handcuffs with a bolt cutter. But, they did not arrest Loomer. The previous week, Twitter banned Laura Loomer permanently for a hate speech in a tweet referencing IIhan Omar. She is a Somali American politician from Minnesota and a recently elected Democratic US congresswoman. Loomer called Omar "anti-Jewish" on her tweets. She also said that she is a member of a religion in which "homosexuals are oppressed" and women are "abused" and "forced to wear the hijab". Loomer was largely criticized and Twitter had to ban her for spreading hate speeches on social media. Laura Loomer was born as Laura Elizabeth Loomer on 21 May 1993. Her birthplace is North Miami, Florida in the United States. The information about her parents is yet to be discovered. She holds American nationality. Her birth sign is Gemini. She belongs to White-Caucasian ethnicity and is Jewish. She was raised in Arizona. She attended Mount Holyoke College. She graduated in bachelor's degree in broadcast journalism from Barry University. 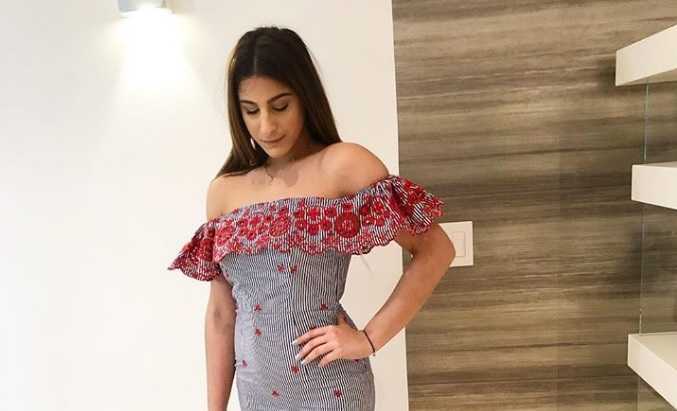 Previously, Laura Loomer worked as New York correspondent for The Rebel Media, a conservative Canadian far-right news website. It is also known as the Canadian Breitbart. She left The Rebel Media in early 2017s. She then worked for Project Veritas with James O'Keefe. He is a conservative activist known for producing selectively edited undercover video investigations. She resigned from Project Veritas in September 2017. She calls herself as a nationalist and describes immigration is a threat to the United States and its heritage. In 2015, Barry University suspended Loomer for violating the student code of conduct rules and filed criminal charges against her for taping university officials without their consent. She used a secret camera to record her conversation with the University official to discuss the idea of starting a club, "Sympathetic Students in Support of the Islamic State of Iraq and Syria". The video was released by James O'Keefe with Project Veritas, which alleged the university official did not disconcert the notion of starting an on-campus organization that would support ISIS. In June 2017, Loomer was arrested for disorderly conduct and trespassing, when she walked on the stage and disrupted the live performance by the Shakespeare in the Park production of Julius Caesar. Security, escorted Loomer off the stage, where she shouted "Stop the normalization of political violence against the right! This is unacceptable!". In November 2017, Loomer was banned from using services from Uber and Lyft following allegations that she had violated their guidelines. Loomer tweeted that she reached at a conference late because she could not find a "non-Muslim cab or @Uber @Lyft driver". In October 2018, Loomer tried to spread the false conspiracy theory that the bombing attacks during the October 2018 United States mail bombing attempt targeted at prominent Democratic politicians, was a "false flag" operation by the Democrats. This month of 2018, Twitter banned Laura Loomer permanently for a hate speech in a tweet referencing IIhan Omar. She is a Somali American politician from Minnesota and a recently elected Democratic US congresswoman. Loomer called Omar "anti-Jewish" on her tweets. She also said that she is a member of a religion in which "homosexuals are oppressed" and women are "abused" and "forced to wear the hijab". Loomer was criticized by many, which led Twitter to ban her. The following week, Loomer protested against her ban in the front door of the Twitter headquarters in New York City. She wore a yellow "Jude" patch during the protest and announced that she was joining a lawsuit that alleged bias by social media against the conservatives. About two hours later, police had to involve themselves to remove her handcuffs with a bolt cutter. But, they did not arrest Loomer. No personal information regarding her relationship status has come to light. However, she is unmarried till date. She has kept her personal life private, far from media. Laura Loomer stands 1.73m ie. 5 feet and 8 inches tall. She has a body weight of 132 lbs (60kg). She has a body measurement of 35-27-35 and her bra size is 34B. Her hair color is black and her eye color is brown. Her shoe size is 6(US). It is difficult to gather information about her income. Thus, the net worth of Laura Lommer cannot be evaluated yet. Her income, net worth will be updated soon after we gather sufficient information. She walked on the stage and disrupted the live performance by the Shakespeare in the Park Produced Julius Caesar. She is banned from using Lyft and Uber services. Twitter banned her permanently for posting a hate speech.